Located on the northern side of the city, near the junction of Phetkasem Road and Utarakit Road. The intercity bus network can get you to anywhere in Thailand with cheaper rates than the plane. The station also has bus services and features a selection of restaurants and small stores so you can freshen up or do some shopping while waiting for your bus to take off. 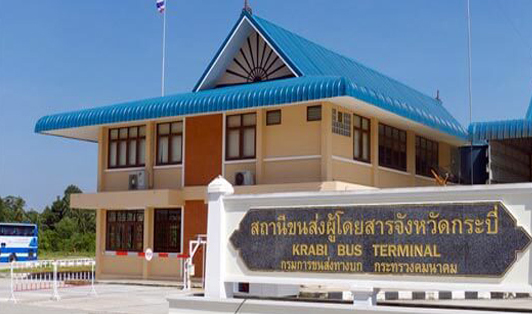 Krabi Bus Terminal has 4 bus types, the first-class bus is air-conditioned and goes between 2 terminals directly with few breaks, and the second-class bus is also air conditioned but makes many stops along the way, the third-class one is air-conditioned as well, however, it makes more stops between terminals than other buses, and last but not least is the VIP-class bus which is, of course, air-conditioned and only stops once or twice along the way.